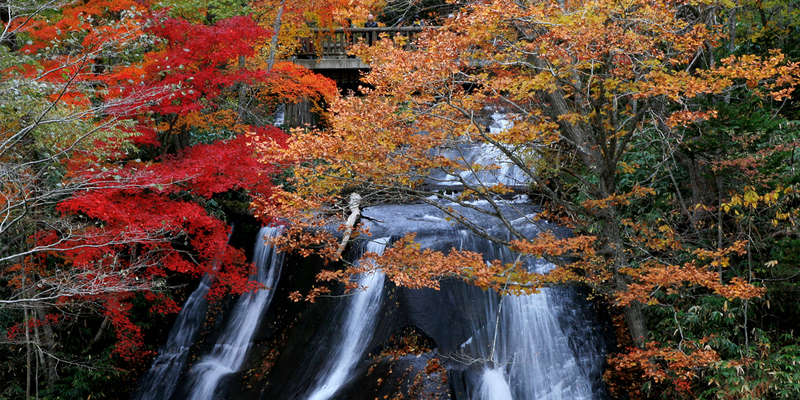 In this course, visitors can enjoy the beautiful autumn leaves of Eniwa Valley. 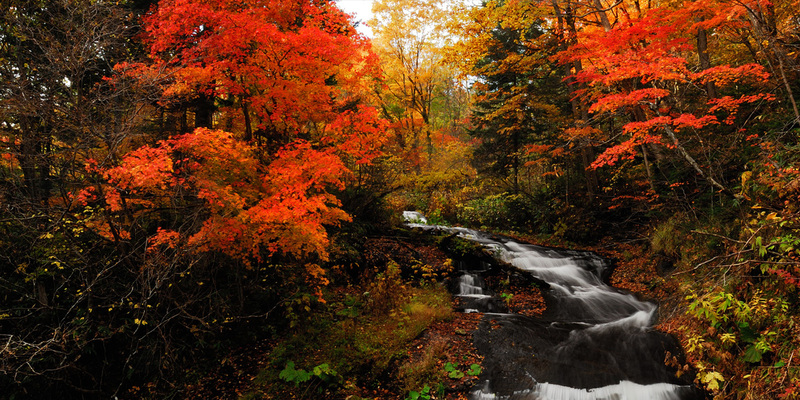 Sandan Waterfall, Hakusen Waterfall, Rarumanai Waterfall, and Lake Eniwa are all very popular spots in Eniwa Valley. After all the sightseeing, wind down at a moor hotspring and hot stoned bath. Come to Eniwa to see what's all the excitement about!! 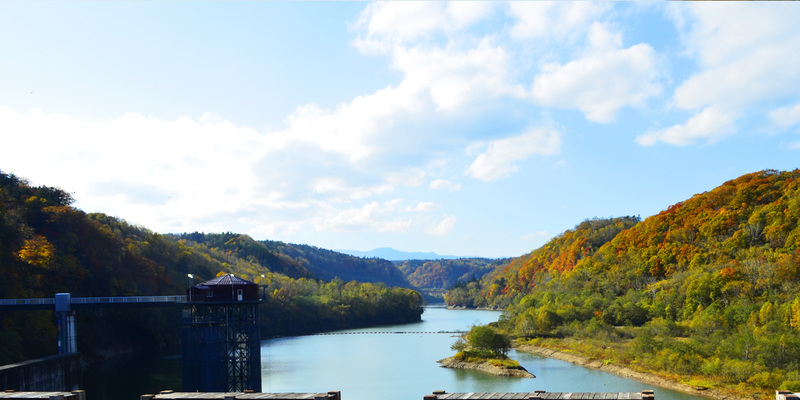 Lake Eniwa is an artificial lake made by the construction of Izarigawa Dam. The lake is surrounded by deep forest greens that changes its appearance depending on the season and the weather. The mirror-like water reflects the green foliage during the day and the warm orange of the setting sun in the evening. There is also an area for visitors to enjoy barbecuing below the dam. 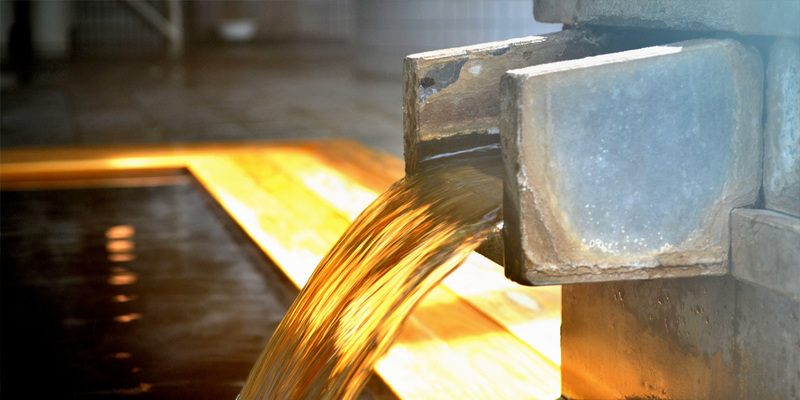 This natural moor hot spring is also known as "Beautiful Skin Water". Visitors can relax their muscles and increase their blood circulation at the same time. One of the hot stone baths promote healthy blood, while the other uses a Himalayan rock salt floor to promote acupressure healing. In this course, you can enjoy a variety of experiences, such as harvesting, horseback riding, and making soba noodles, all in one day! For horseback riding, you can have the chance to ride a retired race horse with the help of a friendly instructor. After you are tired from the day's activities, you can relax with a nice cup of tea. 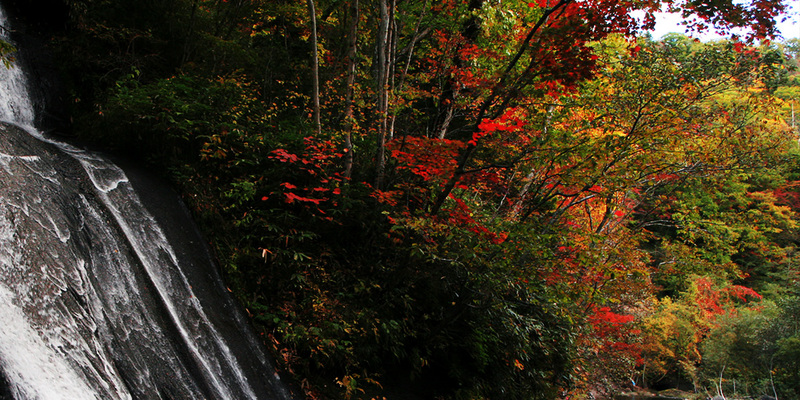 The three falls in Eniwa Valley amongst the beautiful autumn leaves are definitely a must-see. Afterwards, visitors can enjoy seeing the cute animals and beautiful gardens at Ecorin Village. 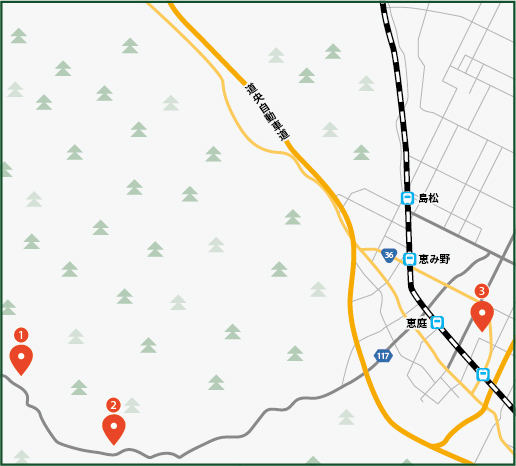 Another option would be to take a beer tour and play park golf at Sapporo Beer Hokkaido Brewery. This course is full of Eniwa attractions. 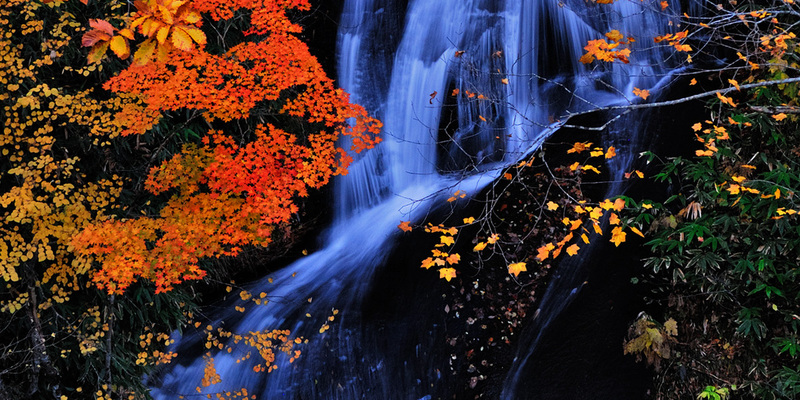 In this course, visitors can see the beautiful waterfalls under a canopy of autumn leaves, enjoy the Eniwa Genghis Khan (BBQ Mutton) with fresh local vegetables, and shop for unique souvenirs.